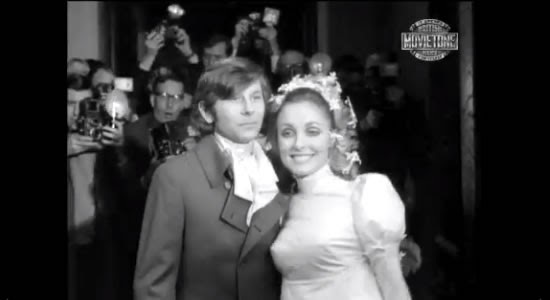 British Movietone footage of the wedding of Sharon Tate and Roman Polanski. The window for the much publicized wedding of Charles Manson and Star that was supposed to take place has closed. If you recall the prison conducts weddings on the first Saturdays of each month. There are no more first Saturdays remaining before the wedding license expires. 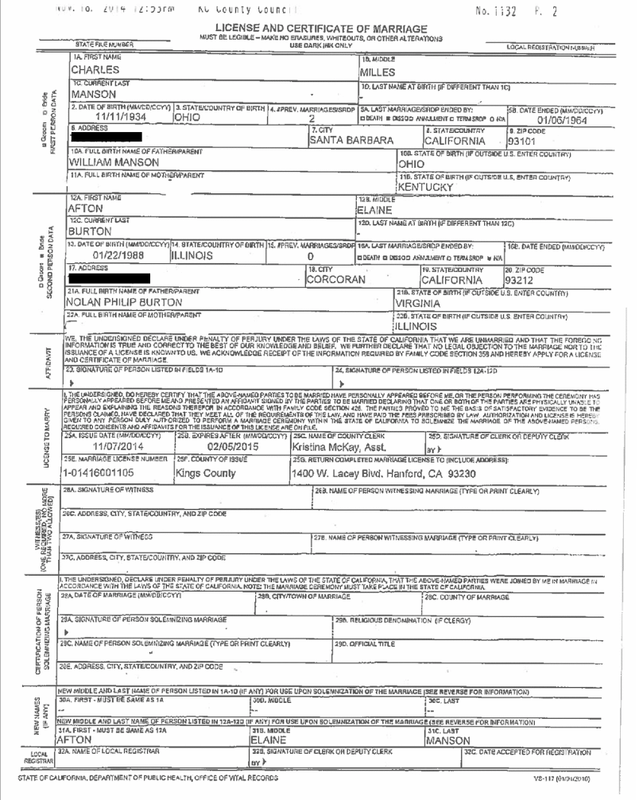 The license was good for 90 days from the time it was applied for on November 7, 2014, by my calculations it will expire February 4, 2015. Is anyone really surprised? We never heard from Manson about the impeding nuptials, not one peep. Generally, if he is given an opportunity, he will make some sort of statement. He did say in the 2013 Rolling Stone article that any talk of a marriage was just hype for publicity and that he did not intend to marry Star. So, did Star take it upon herself to apply for the license without consulting Charlie? Will she again apply for another license and will we get to go through the barrage of publicity again? I hope not!